Sometimes it is nice to have some music to get you through a long day on the jobsite, but the last thing you want to do is lug around a large radio. Enter Milwaukee’s new 2592-20 M12 Wireless Speaker, their newest gadget that streams music directly from your phone using Bluetooth technology. At less than 6-inches tall and 4-inches wide, the 2592-20 Wireless Speaker features a 2-inch premium speaker and an integrated bass port that they say delivers loud, clear, and responsive sound at all volume levels. 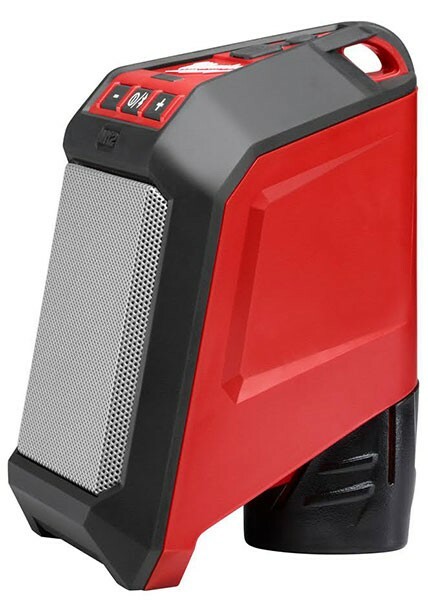 The M12 Jobsite Speaker runs off Milwaukee’s M12 battery system and provides up to 25 hours of streaming music on a single charge. Your phone battery will likely run out before then, so Milwaukee integrated a 2.1 Amp USB port that can be used to charger your electronic devices. The Bluetooth technology provides a wireless range of up to 30-feet, which should allow the user to keep their phone securely in their pocket and not have to worry about their music cutting out as they work. 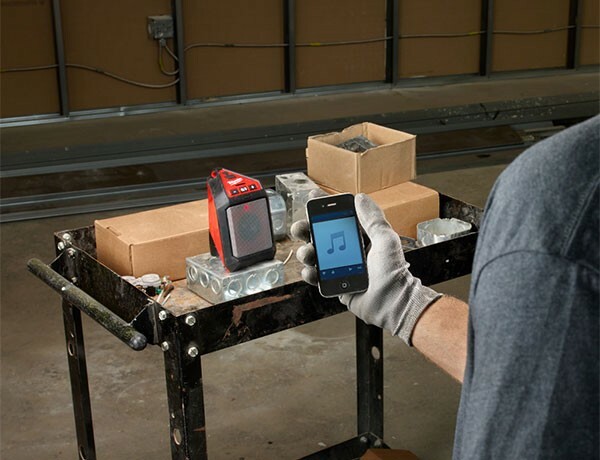 However, a 3.5mm Aux-in port was provided as a backup way to get your music through the 2592-20 Milwaukee Jobsite Speaker.